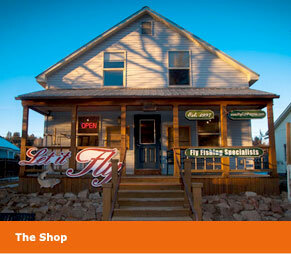 LET IT FLY is a full-service fly fishing shop in Pagosa Springs, Colorado. Please click on the links above for more information on our shop, guided tours, local creek information, photos, links, and more! 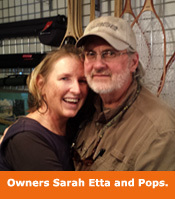 Visit our fly fishing shop in Pagosa Springs, Colorado. We have a large selection of flies and fly-fishing gear, fly tying equipment and supplies, boots waders, rentals, guided tours, magazines, polarized glasses, local fishing information, good advice, rods, reels, nets, and more! If you’re going fly fishing in Pagosa Springs, come see us! We are located on Put hill, just West of Downtown Pagosa Springs. 970-264-3189. In addition to selling everything needed for fly fishing, LET IT FLY also offers years of local knowledge on where to go to find the fish and the best fly for the conditions. LET IT FLY has been serving the Pagosa Springs community and the surrounding area since 1997. In that time, LET IT FLY has established themselves as the go-to source for all your fly fishing needs.